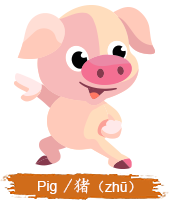 Chinese New Year is 5 February 2019 and this is the year of the Earth Pig, the twelfth sign in the Chinese zodiac. Send your partner something to celebrate! You decide what type of mail art you want to send. Examples include (but are not limited to): postcard, ATC, ATC Coins, altered file folder, decorated envelope w/tuck in, bookmark, paper cuts, inches or twinchies, ATC's, zines, rolo, digital masterpieces, naked mail (items mailed without packaging them first)....your choice of mail art. If sending in an envelope, please decorate the envelope. Postcards may be any size. Please include artist info on ATCs. Please include your swap user ID and the name of the swap so you can get rated. Thank you so much for hosting this swap.